Today, the MaRS Discovery District’s Financial Technology (FinTech) cluster and the BC Tech Association announced a strategic partnership designed to drive innovation and increase collaboration among Canada’s two largest financial technology markets: Toronto and Vancouver. 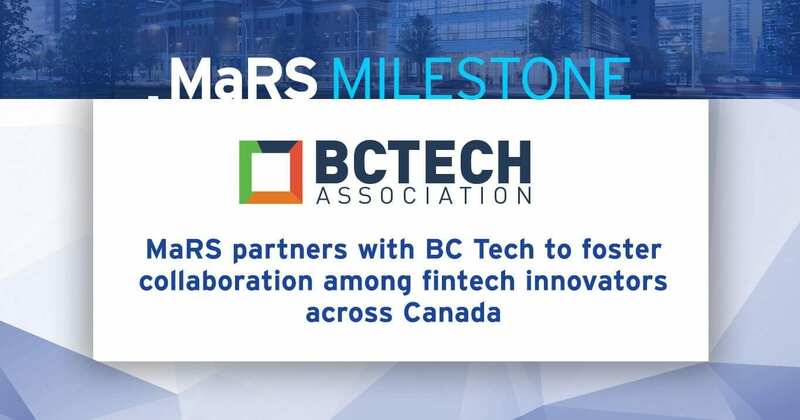 The partnership will create an accelerated channel for later-stage BC-based fintech ventures to join the MaRS FinTech cluster, gaining access to advisory services, venture capital opportunities, and a national network of financial institutions and over 200 fintech ventures. MaRS FinTech and the BC Tech Association will also both establish “soft landings” at their centres in Toronto and Vancouver, making work spaces available for visiting fintech entrepreneurs looking to expand in these key markets. The announcement coincides with the launch of the MaRS FinTech #FinTechCA national event series, kicking off today in Vancouver at the Ismaili Centre in Burnaby – a centre recognized for creativity, policy dialogue, and innovation. British Columbia Finance Minister Michael de Jong will deliver a special address. Upcoming tour destinations include Montreal and Ottawa, with additional destinations to be announced. BC Tech has been providing opportunities for the tech industry to collaborate, learn, and grow together for more than 20 years. 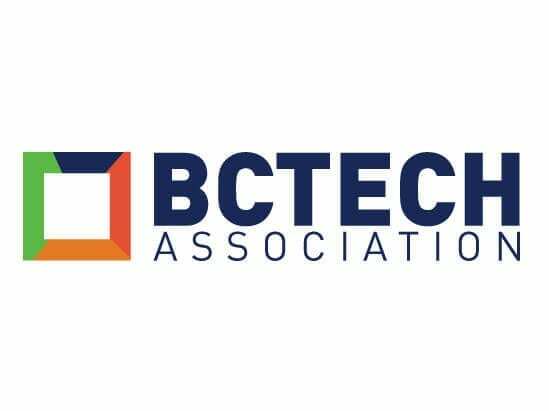 BC Tech launched their fintech program in April of 2016 to serve the nearly 100 FinTech companies currently operating in BC and inspire the next generation of companies emerging from its community. MaRS Discovery District in Toronto is one of the world’s largest urban innovation hubs, within walking distance of Toronto’s financial district. MaRS FinTech is Canada’s largest national fintech cluster that includes Vancouver-based ventures such as Amber Financial, Grow, Koho, Lendful, Lendified, Mogo, nTrust, Peotic, Progressa, and Zafin, among others. “BC’s fintech scene has grown exponentially in recent years and creating cross-collaboration opportunities among Canada’s fintech entrepreneurs will further fuel its growth. This partnership will provide BC-based entrepreneurs with new avenues to tap into Canada’s largest network of fintech innovators and expand nationally.” – Bill Tam, President and CEO, BC Tech Association. “With the rapid growth of Canada’s financial technology industry, it’s critical that we create opportunities for fintech innovators across the country to connect, collaborate, and share ideas. We’re thrilled to partner with BC Tech to deepen ties between Toronto and Vancouver’s thriving financial technology communities.” – Adam Nanjee, head of MaRS fintech.